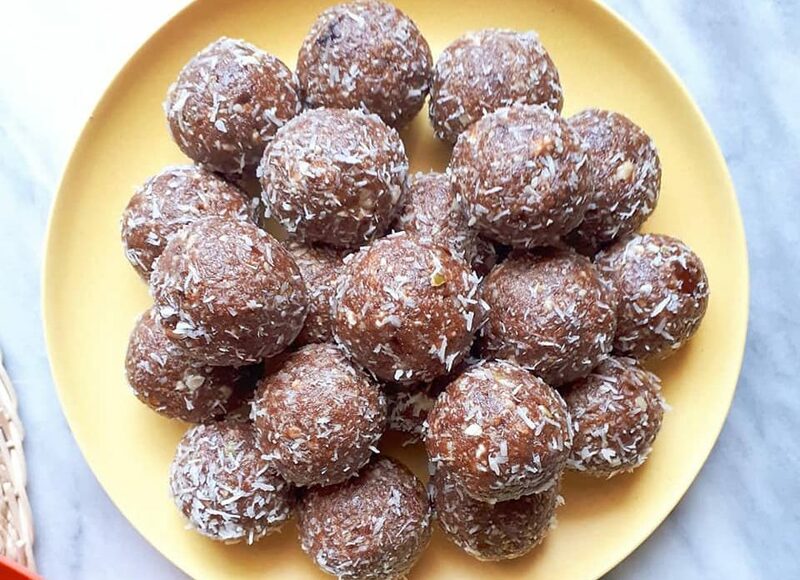 Today I am going to share the recipe for these amazing Date Energy Balls that my children like to eat for afterschool snack. 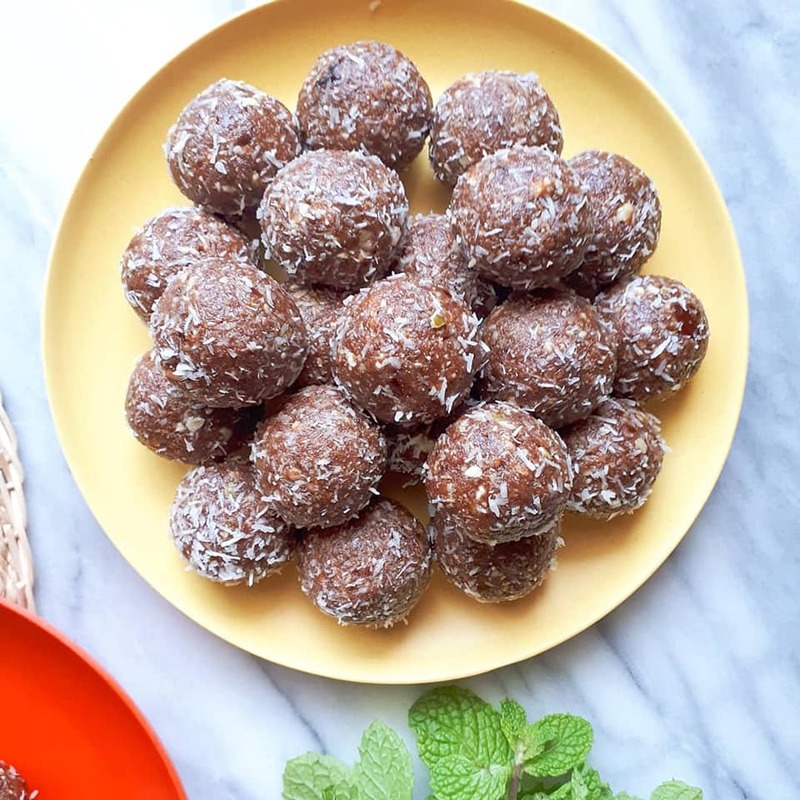 I always try to give the kids a healthy dose of fat with every meal and snack and these energy balls do not disappoint! Healthy fats are not only essential for the proper development of a child’s brain, it will also help him/her feel fuller for longer. 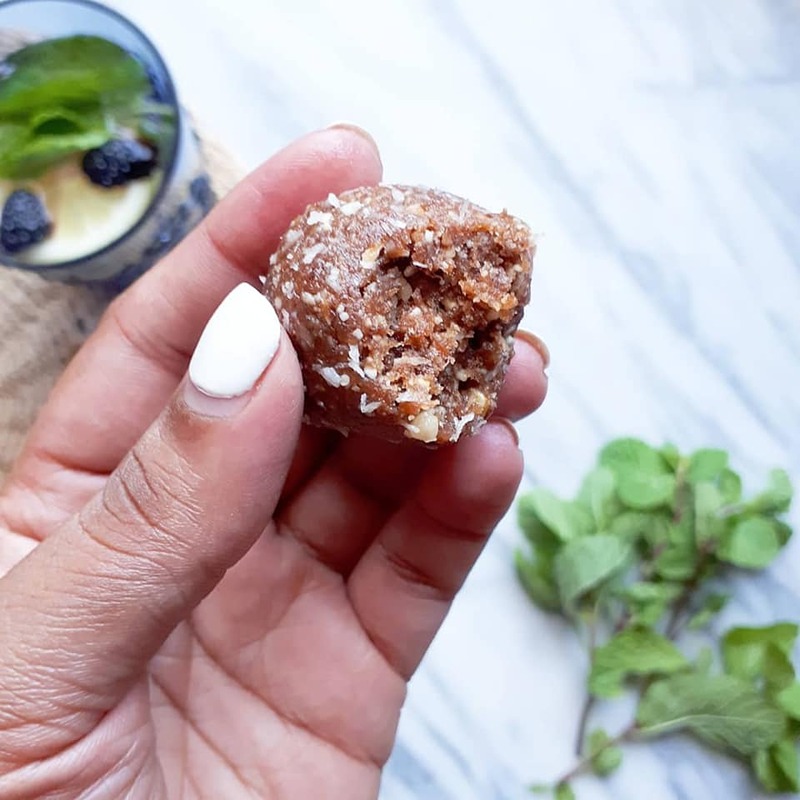 Made with nuts and seeds, these Date Energy Balls are not only a good source of healthy fats, they are an excellent source of protein and a very convenient way for vegetarians and vegans to get in some extra protein. 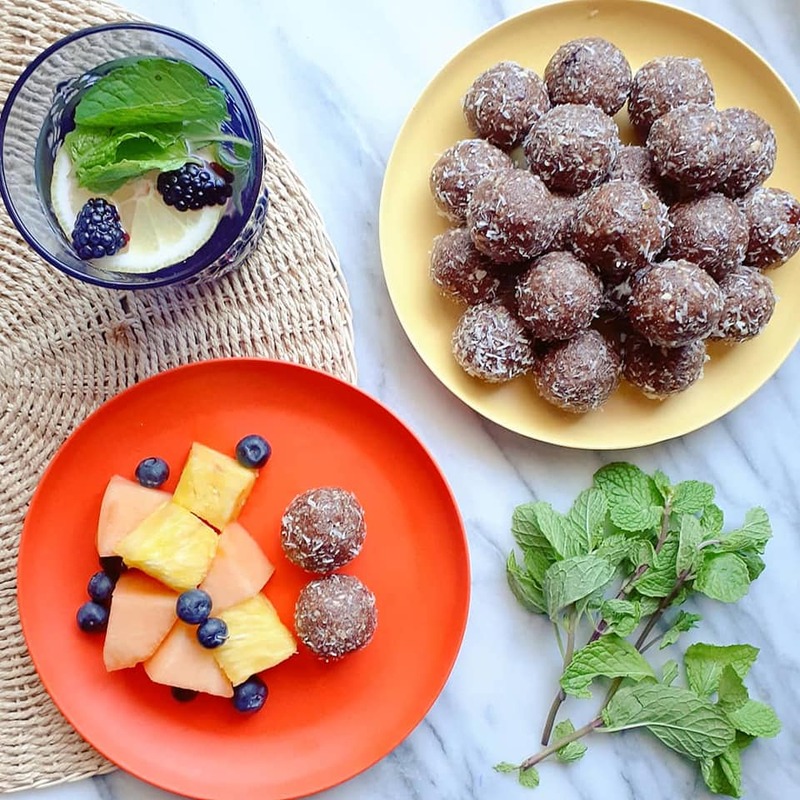 These energy balls also contain no added sugar except for what is found in the Ghirardelli chocolate chips that I used in the recipe. They are super easy to make, taste great, and will last for about a week in the refrigerator. Dry roast the nuts and pumpkin seeds on a pan on medium-heat until fragrant. Stir often to prevent burning. Let cool. Pit the dates and then puree them in a blender along with the vanilla until smooth. Place the date puree in a large bowl. Add the shredded coconut, chocolate chips, if using. Process the cooled nuts along with the hemp hearts in a food processer until crumbly in texture. Add the processed nuts into the bowl and mix until a slightly sticky dough is formed. Scoop the dough and roll to form balls. Toss in shredded coconut if desired and lay them on a tray with parchment paper to rest. Repeat until all the dough is finished. Store in a air-tight container in the refrigerator for up to a week. 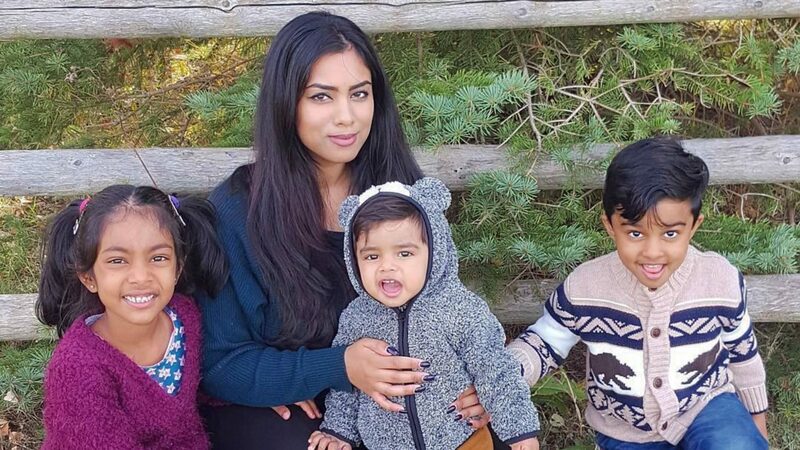 Nuts are an excellent source of protein as well as healthy fats which are especially required in children for proper brain development, amongst other things. Pumpkin seeds are a good source of protein, healthy fats, fibre, and antioxidants. They also contain considerable amounts of zinc which is known for boosting immune health and magnesium which is responsible for the pumping of the heart, proper bone and teeth formation, regular bowel function, and more.